I am pleased to anouced my latest extraction... WEATHER. 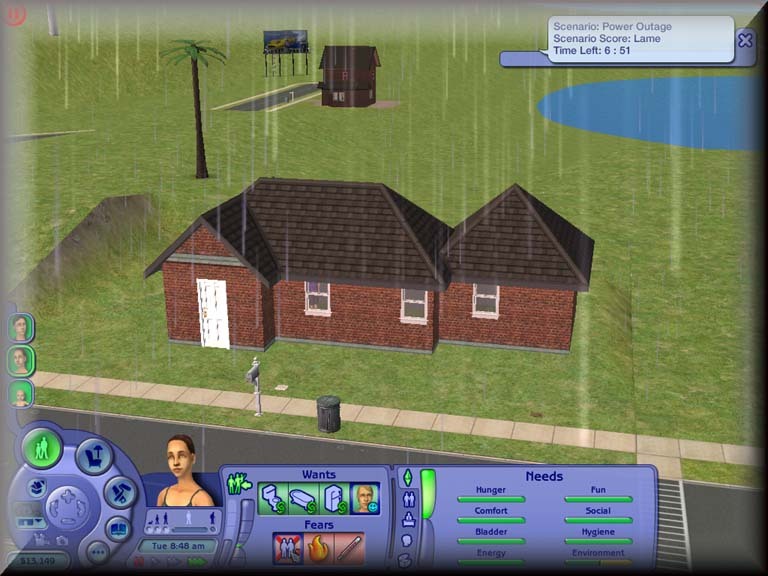 Now your sims can have weather on their lot! The weather I have created is an object that can be found under General/Misc. The weather only works on lots. Heavy Rain: Heavy rain just rains for a few hours. In the game Heavy Rain is a lot of rain drops on the screen.This object is preferribly placed near the middle of the lot. Once you buy the obejct and place it the rain will just have to do it's corse. You can't get rid of it till it is done it's corse. 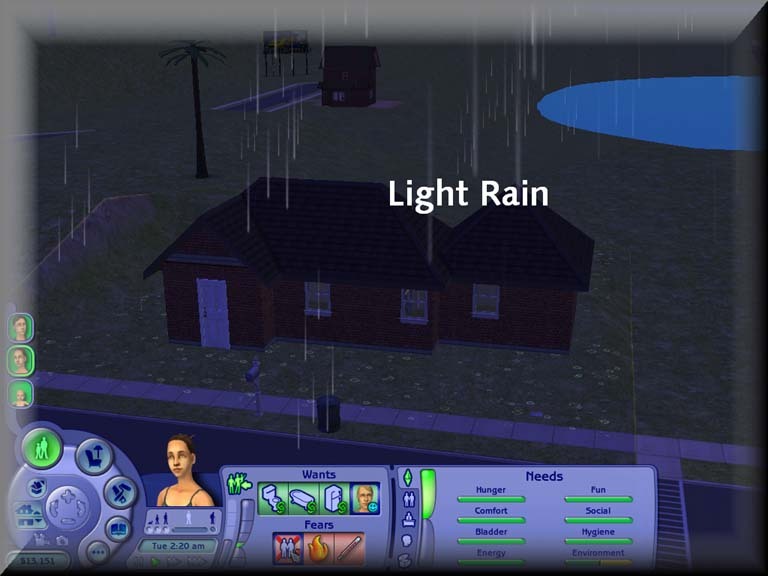 Light Rain: Light Rain is just like heavy rain. It lasts only for a few hours. But unlike the Heavy Rain it only has a few raindrops. This object is preferribly placed near the middle of the lot. Once you buy the obejct and place it the rain will just have to do it's corse. You can't get rid of it till it is done it's corse. Thunderstorm: ThunderStorms Last for up to 2 days. 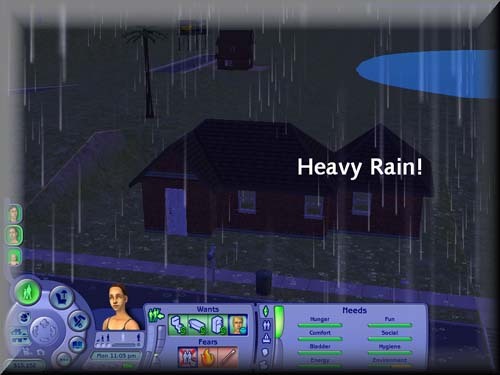 ThunderStorms look exactly like Heavy Rain but during the time period the storm takes place you might encounter a popup. 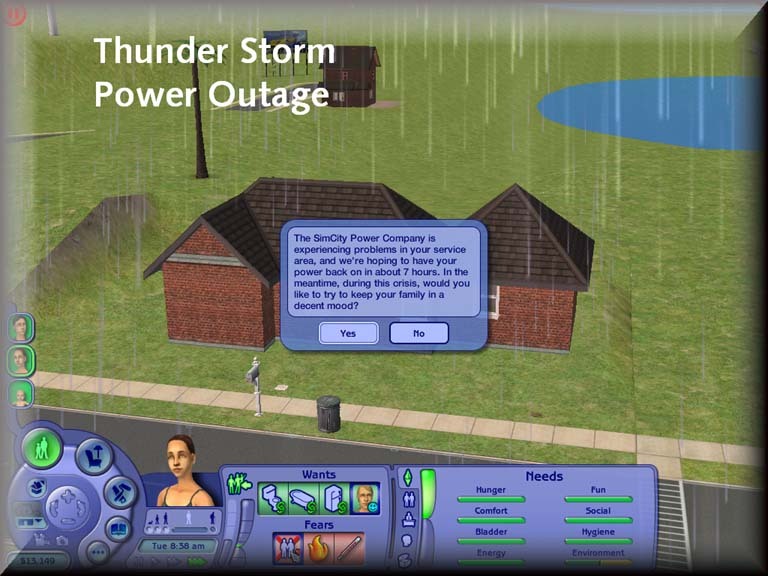 This popup is a noticed that there is a power outage. This outage lastest for 7hrs. This object is preferribly placed near the middle of the lot. Once you buy the obejct and place it the rain will just have to do it's corse. You can't get rid of it till it is done it's corse. Issue: The only issue with the weather is that the rain goes through the roof. Final Notes: There was going to be lightning bolts but if you want a huge blue blob on your screen... I would wait till I've got the issue solved! And this is my extraction so please do not reupload anywhere. And plz no exchange!